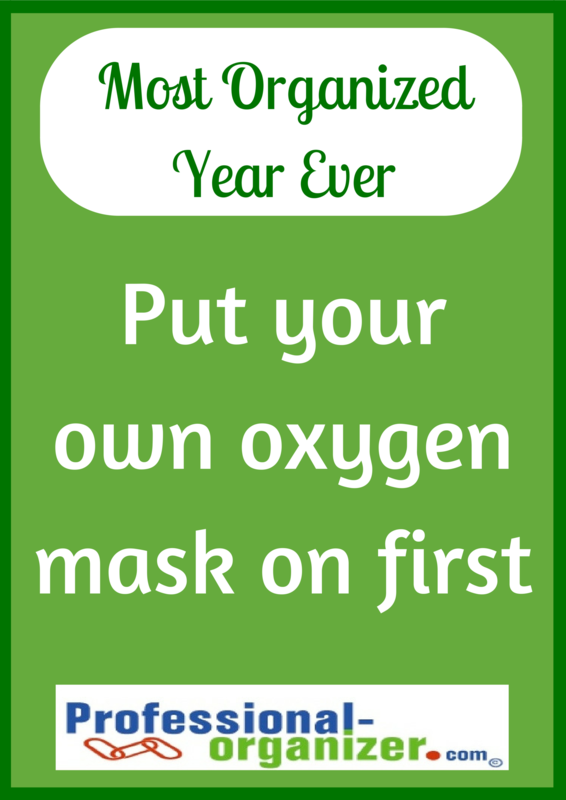 It’s the new year and time to put our goals into action! 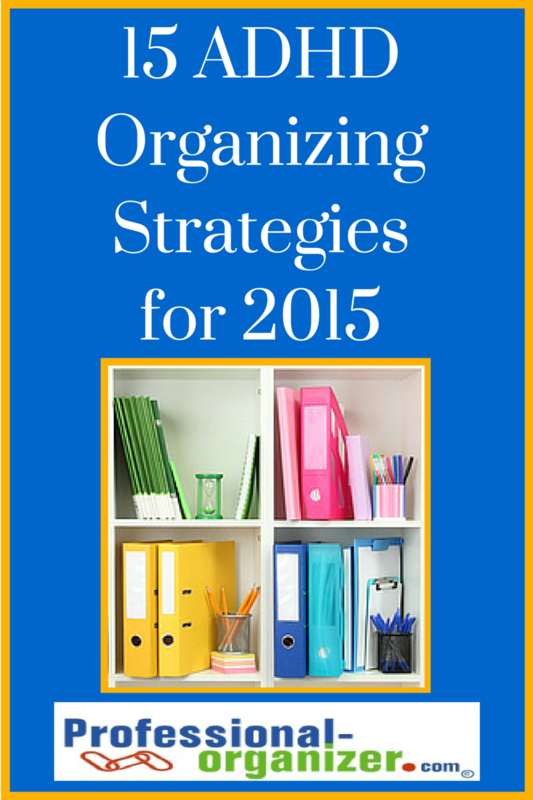 Get your home, work space, kids and more in order this year with these 15 ADHD organizing tips for 2015. Apply the ONE in, TWO out rule. By taking TWO items out, you are gaining on clutter build up. Labeling helps everyone put away stuff. Label kids drawers, pantry, or anywhere for items to be put back. Set dates to organize. Write in your calendar a one – two hour time, every other week or once a month, you are going to organize. It keeps you committed to your goal. 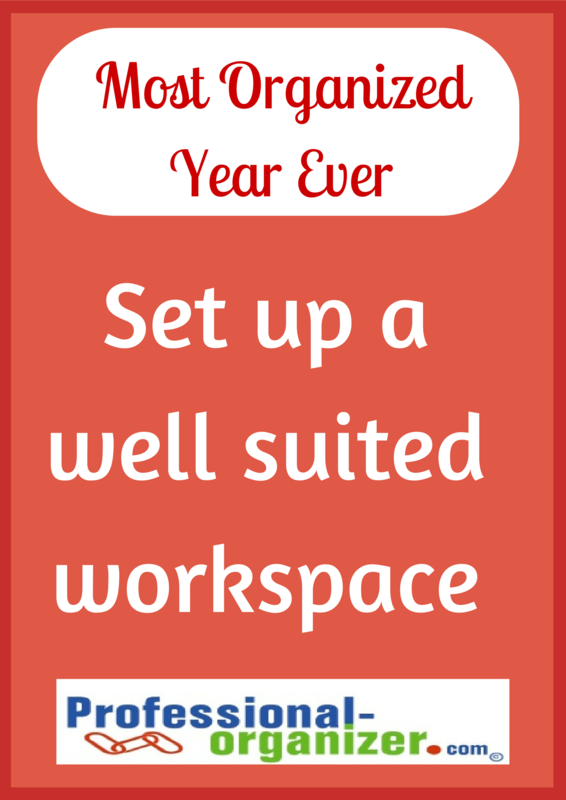 Create a well suited work environment. A less distracting environment is one with less clutter, optimal auditory stimulation and attractive for you. Decide what is not working in your space and spend time crafting an improved place to work. Create and set up reminders that work for you. If you are highly visual, use a dry erase board and sticky notes on a window. If you are highly auditory, set alarms on your phone. Use one hour power periods to accomplish your work. Set a power period at your high energy time to get the most out of your time. Partner with your kids to use their planners. The planner should be the one spot all assignments are written so that nothing slips through the cracks. Go online to websites, have your kids write in assignments from the class room and consolidate all assignments here. Set up a homework routine with your kids. Start early, like 4 -5 pm, for homework time. Establish a “get started procedure” like setting up the planner and books on the table. Homework time ends when all items are back in the back pack and by the door. Use apps that make learning fun. Quizlet, StudyBlue, Free Audio Books and MindMeister make it easier to digest and incorporate new concepts and vocabulary. 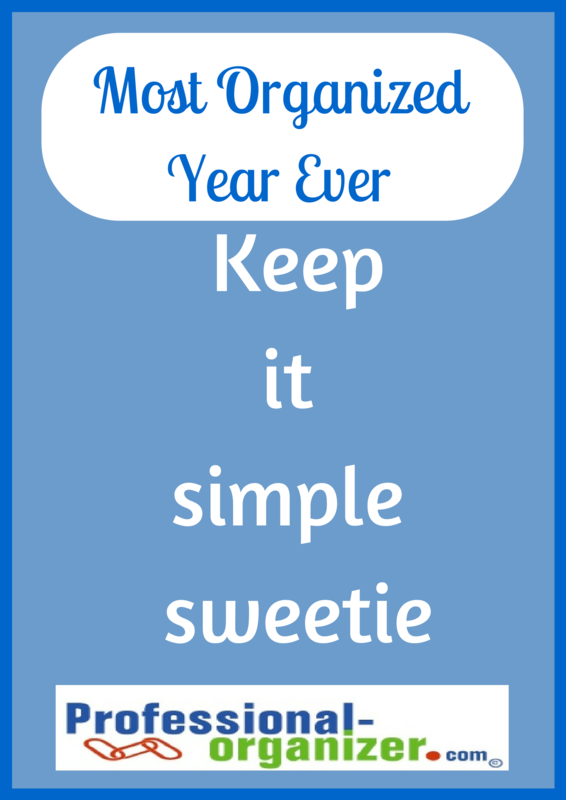 Declutter with your kids twice a year, before birthday and holidays. Its a reset in their rooms so that they keep decluttered. Work for at least 15 minutes with them, and then continue without them. Cherish your kids artwork with an art gallery or art book. Collect the art together for 2 weeks in a bin. Have your child choose what to display. Establish a gallery with frames or string and clothespins. Take photos of the artwork and create a photo book with it. Help your kids distinguish treasures. Set up a box or bin for them to keep their treasures in their closet. When the box is full, it’s time to prioritize what is a treasure and what can be let go. 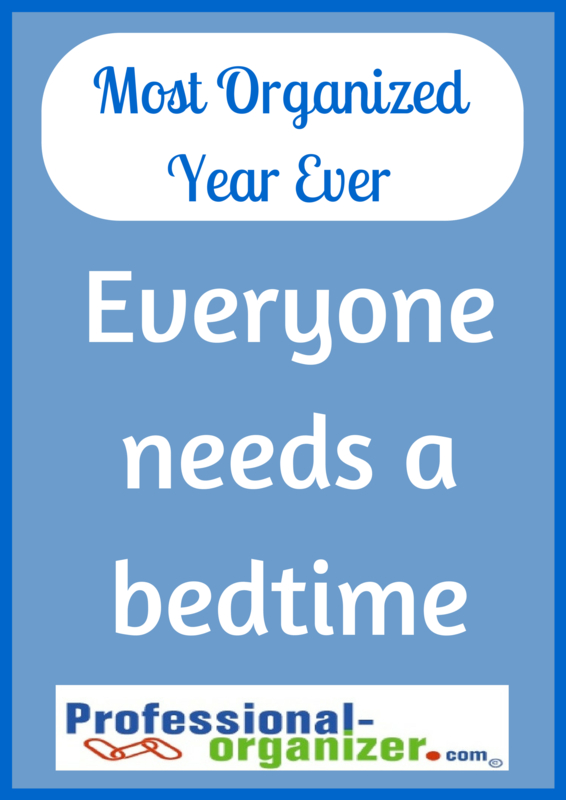 Everyone needs a good bed time. Start earlier than you think by getting ready ahead of time. No blue light for 60 minutes before bed. Be in bed 30 minutes ahead. Set the temperature cooler in your bedroom. Get out in green space. Take a short walk, do a little meditation, and spend a little time outdoors exercising. It’s what is best for focus and clarity. Daily exercise helps you be more productive. Do something fun. More times than not my clients share that they have no time for what they love. 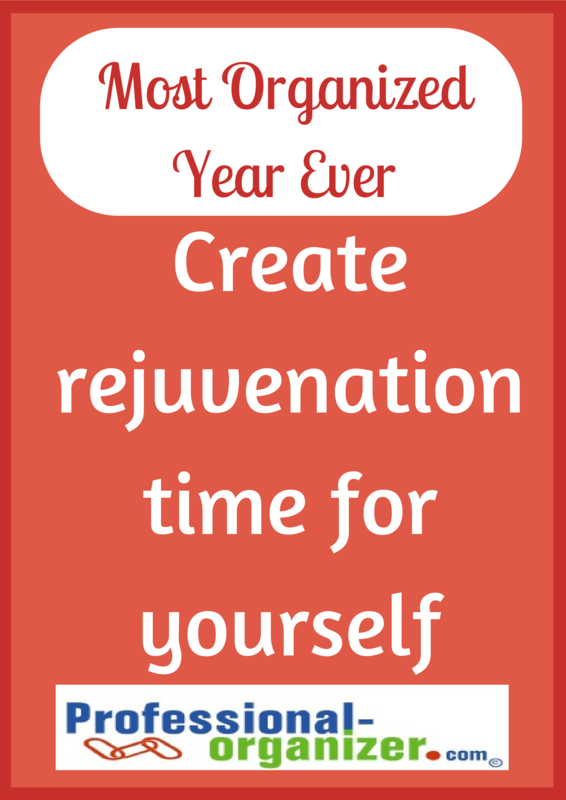 Spend time being crafty, reading a magazine and doing something for YOU each week. 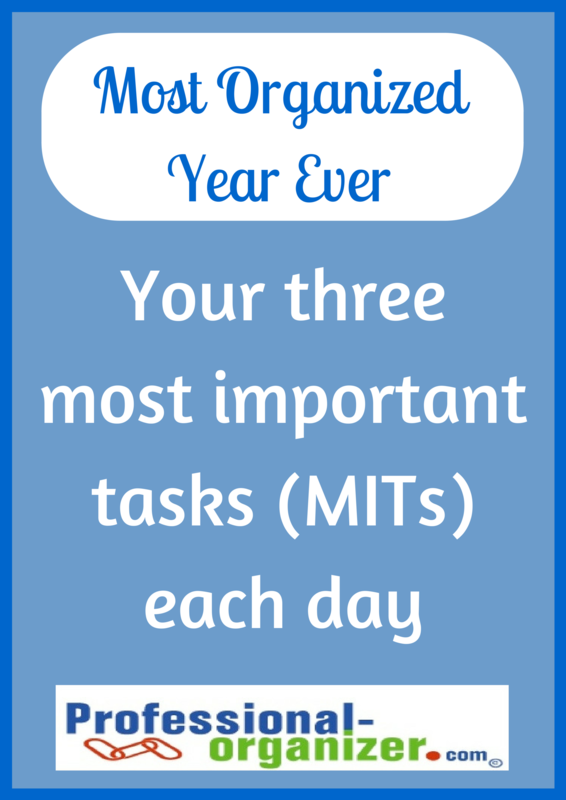 Join me on Facebook for daily doses of organizing and productivity. It’s the basis of all things organized. Having a good decision making process makes organizing easier. And what are good decisions based on? 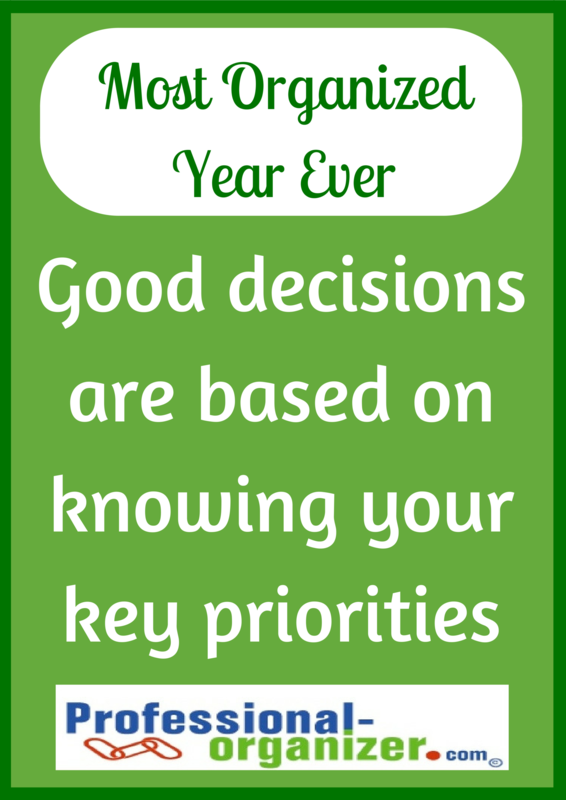 What helps me most in the decision making process is usually having a good night’s sleep! There are limits that set natural boundaries for us. Sometimes we see them and sometimes we don’t. It’s like our closet that’s intended to hold our clothes. And we shop too much to have the clothes fit in there. It’s like our calendar. At times we commit to too much to be able to fit it all in. Without limits and boundaries, things get chaotic. Once you move beyond your limits, it’s a natural time to let things go. 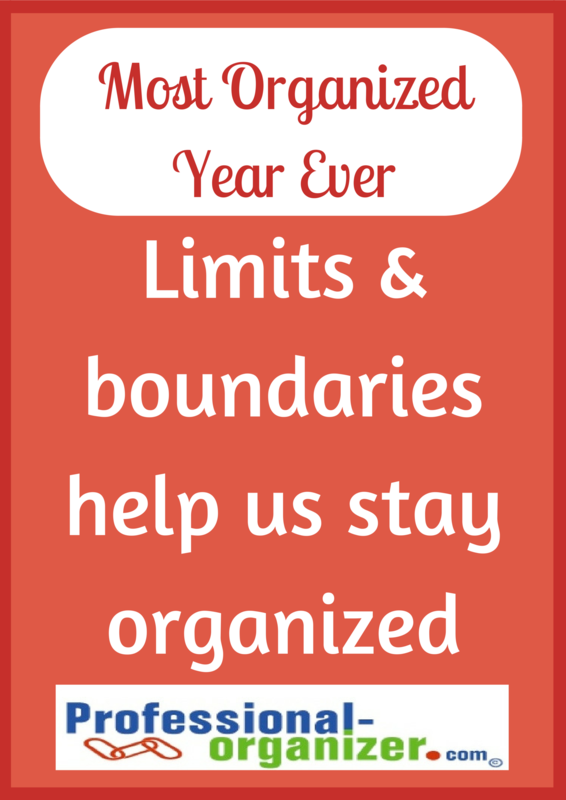 How do we set boundaries? It’s about finding natural limits. It’s designing a system that takes these limits into account. It’s also about setting our own limits. Finding a number that helps us stay within boundaries of what feels comfortable. Rules that help us maintain our space. Setting and recognizing limits and boundaries can require processing and coaching. Houzz (www.houzz.com), the leading platform for home remodeling and design, today announced the community’s picks for Best Of Houzz 2015, a homeowner-to-homeowner guide to the top home builders, architects, interior designers, landscape pros and other residential and organizing remodeling professionals on Houzz of all types. Professional-Organizer.com won in the Customer Service category! 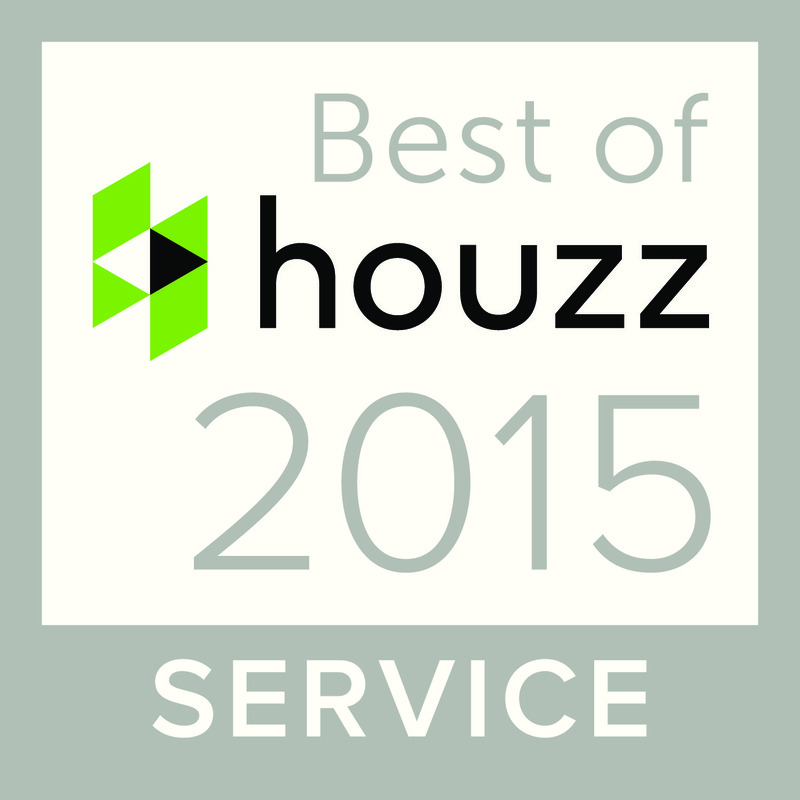 The Best Of Houzz award is given in two categories: Customer Service and Design. Customer Service honors are determined by a variety of factors, including the number and quality of client reviews a professional received in 2014. Top reviews were given to Professional-Organizer.com in 2014. It’s an honor to serve my clients. The lasting change we create together makes each day better. Together we put your goals into action and create a personalized space with low maintenance. Check out my work on Houzz.